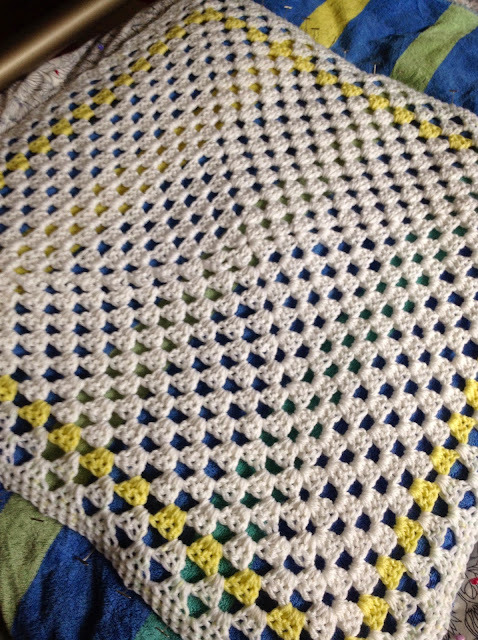 Have actually got around to blocking the granny square blanket. I'm not sure I have used enough steam. We'll see when I unpin it!